Life Training takes advantage of this unique opportunity to practice living for Christ at college while you are still surrounded by the Christian peers and mentors who already build into your life. Plus, the campus is a great place for fun, fellowship and learning. It even has tons of space for a quick game of Ultimate Frisbee, soccer, Ninja or whatever silly game your church decides to make up. 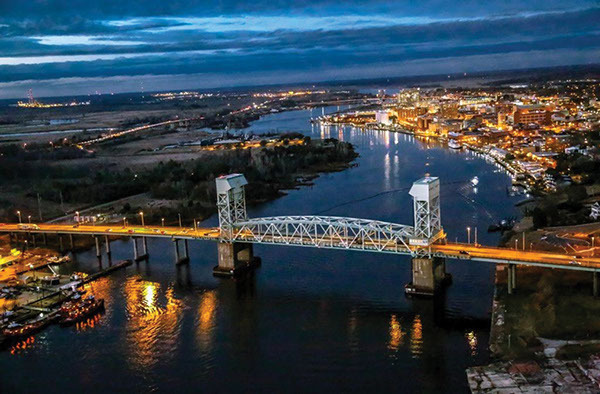 The UNCW Area and the city of Wilmington offers some city flair with a riverfront, local malls, several college campuses and three separate beaches within minutes of our conference. Soak up the sun and take in the salty air at Wrightsville, Carolina and Kure Beaches! At the conference, you’ll have time for beach breaks, fun around campus and exploring the city. We give your church a special Night Out to grow closer together and take advantage of the area’s favorite attractions! Wrightsville is not far from campus. Soak up the sun, play some volleyball, or enjoy the view from Johnny Mercer’s pier. This is another great place for dining out and relaxation. Feeling adventurous? Take a little extra time to drive to the big sandy south tip of the island for a less congested beach experience. Carolina Beach, though a half hour farther from campus, provides delightful beach areas with their own appeal. These are great places for your church to spread out, do evangelism or start your Church Initiative. Just south of Carolina Beach, you’ll find the leisure of Kure Beach. At the southern tip, visit the scenic and historic rocky beaches of Fort Fisher. This is a relaxed, open area to grab a reprieve from the busy week.